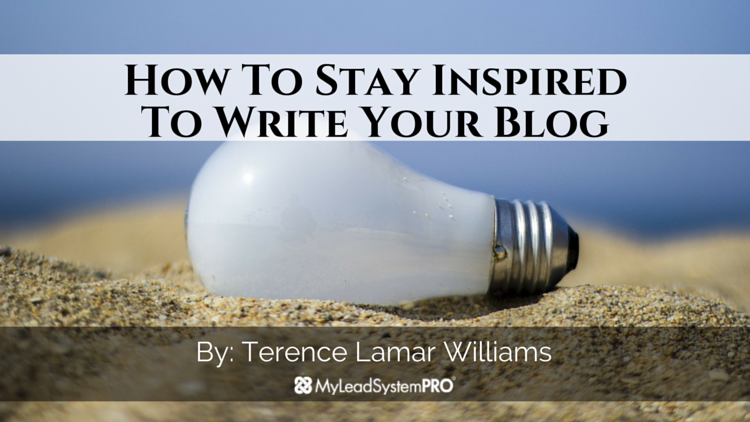 Knowing how to stay inspired to write your blog is an important skill to learn, which in turn should be thought about before you even begin blogging, if you are planning to earn a living online. Becoming successful at blogging is something that doesn't happen overnight, and it requires a substantial amount of dedication and consistent effort. Because it can take so long to begin generating enough revenue to live on, many bloggers lose inspiration and may even stop blogging altogether. Often this happens because new bloggers aren't prepared, having no idea how much effort is involved, or they may have thought they would see more income generated than what actually appeared. 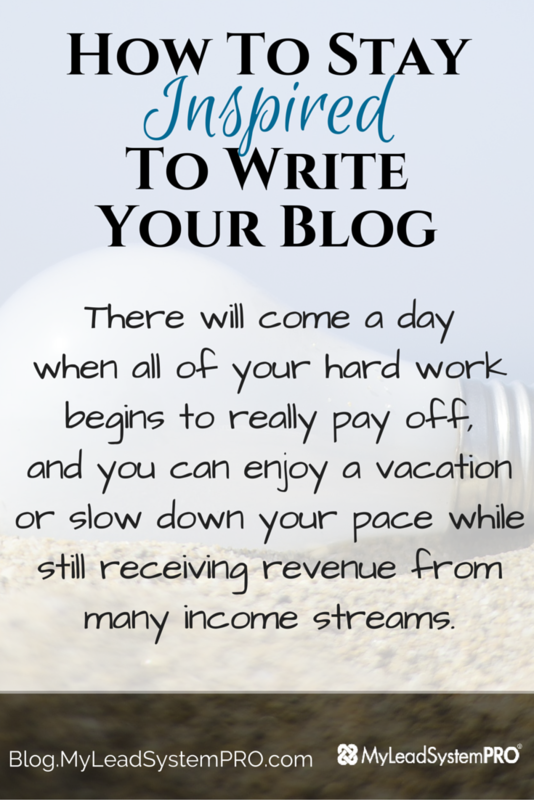 To stay inspired to write your blog, you need to keep your eye on the prize and recognize that you are laying the foundation for the long term goal of earning passive income online. There will come a day when all of your hard work begins to really pay off, and you can enjoy a vacation or slow down your pace while still receiving revenue from many income streams. This is the most inspirational point to consider when blogging, so visualize that there will come a day when income is streaming in from all of the work you are doing right now. To stay inspired, use visual imagery, such as the work involved in building a skyscraper – it begins with absolutely nothing and is a slow process, but the end result is a phenomenal structure. This is how blogging grows, very slowly and one brick at a time, but knowing that in the end all of this work will change your life, and is well worth it. That said, you may not have inspiration to work on your blog because you are not interested or engaged in the topic, finding it dull and a struggle to write about each day. 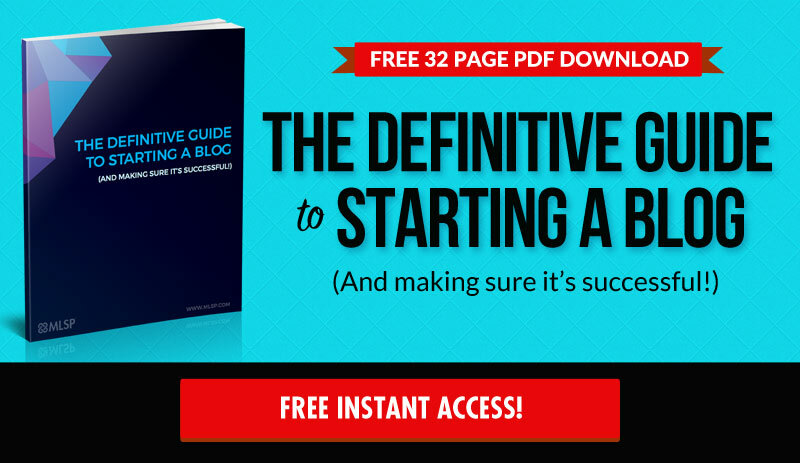 You don't have to go for the “big ticket” topics to be a success in the blogging world so, to stay inspired, be sure to focus on a niche that you enjoy writing and talking about, or you'll increase the likelihood of giving up on this amazing opportunity to create a substantial passive income online. If you are feeling uninspired about writing on your blog be sure and reach out to one of us in the MLSP Community for more ways that you can stay motivated to writing on your blog. If you want to stop struggling with your current network marketing company, start sponsoring more people into your particular company, and finally start making money with your current business, OR if you're looking to start a new network marketing venture, I can help you with both! Thanks for the knowledge… I really appreciate.